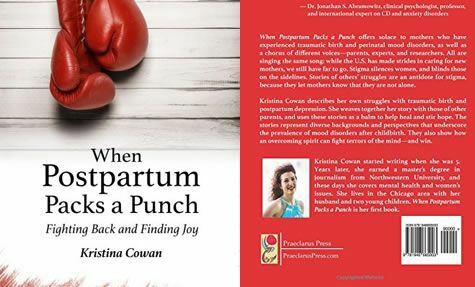 My first book, When Postpartum Packs a Punch: Fighting Back and Finding Joy, recently celebrated one year at market. A personal account of my encounter with postpartum depression, and revelatory of other parents' journeys through perinatal mood and anxiety disorders, it's gathered praise from the parents, experts, and the literary world. One of its hallmarks is an often-overlooked key to healing and an antidote for stigma: shared story. It's available on Amazon, Barnes & Noble, Powell's, and IndieBound.